Make sure your machined surfaces maintain high performance, and test materials for quality control by measuring their roughness with these surface testers. Measure the roughness of finished surfaces based on roughness standards with these portable digital surface testers. 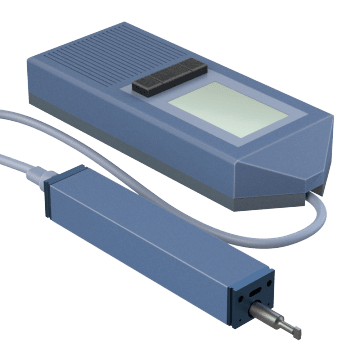 They have a stylus detector that traces the workpiece surface to measure minute irregularities, which are displayed on an easy-to-read LCD screen. 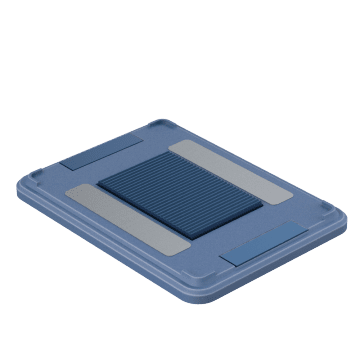 From the measured surface profile, the tester calculates various standard parameters to characterize the surface roughness. Scribe precise layout lines on a workpiece, transfer measurements, or probe surfaces during inspection with surface gauges. 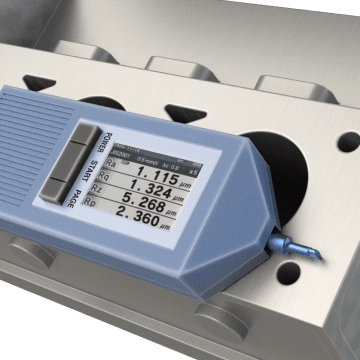 For greatest precision, surface gauges should be used with a surface plate and a height gauge. 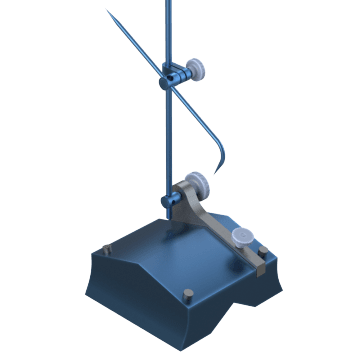 Help improve your surface testing measurements with these accessories, which include stands to hold testers for steady measurements, probes, detectors, drive units, and standard specimens for calibration.